Tony timing: The last Oscar telecast could easily have been mistaken for the Tonys with all its musical production numbers and four-time Tonys host Neil Patrick Harris, but there also are some big differences that differentiate the two shows. Of these, perhaps the most important difference is the timing of their nominations and what that timing can mean to nominees. In the case of the Tonys, being nominated (especially in multiple categories) can provide a boxoffice boost that makes a life-or-death difference for plays struggling to survive. It also can help extend the runs of plays (especially musicals) that are already doing well. A good example of how Tonys can help is "Memphis," which won the 2010 best musical Tony. After opening in October 2009, it was struggling to hang on, hampered by not having big name stars on its marquee. "The first big bump we saw was after the nominations, and, after we won, it shot us right up the ladder," Sue Frost, a producer of the play, said in a recent New York Times article. "Memphis" wound up running for a healthy 1,165 regular performances (plus 30 previews) before closing Aug. 5, 2012. A similar Tony boost was cited in the same article by Joey Parnes, a producer of "A Gentleman's Guide to Love & Murder," which received 10 nominations last year, the most for any nominee, and then won the best musical Tony. Addressing the noms' importance, he explained, "From that moment on, the tide turned. All of a sudden, people started coming, literally immediately. It was like a faucet got turned on." With the Oscars, however, best picture nominations areoften less meaningful at the boxoffice. In recent years, Oscar noms have tended to go to films that aren't playing in wide release or that have already finished their theatrical runs and are now available in video-on-demand. A lot of what happens relates to the noms' timing. There's recently been a string of big openings on Broadway – such asthe sold-out drama "The Audience," with Helen Mirren recreating her portrayal of Queen Elizabeth II from the sold-out London production; the musical "Finding Neverland," based on Miramax's 2004 biographical film about "Peter Pan" author James Barrie and marking movie mogul Harvey Weinstein's debut as a stage producer; and the revival of Rodgers & Hammerstein's classic musical "The King and I" – in order to qualify for this year's Tonys. The Tony deadline for consideration is Apr. 23 and nominations will be announced Apr. 28. The awards will be presented June 7. So the Tony noms will come on the heels of theopenings for some of the big contenders. The awards, themselves, will be given early enough in many of the plays' runs to benefit their ticket sales. Moreover, early June is great timing for the Tony winners to be able tomarket themselves to tourists around the world who are heading to New York for summer vacations and want to catch a Broadway show while they're there. What's good about the Tonys is thatfor many plays they take place early in the process of attracting audiences during the prime summer season. With the Oscars,nominations are announced in the mid-Januarydead-of-winter, well after the prime holiday season. On the other hand, Golden Globes noms are announced in mid-December and play a major part in marketing campaigns as moviegoing spikes for Christmas and New Year's. The trend in recent years that has Oscar voters nominating small dramas that have already been applauded by critics groups has lessened the impact that being Oscar-nominated once had. Here's a quick look at what happened in the 2014 race, whose nominations, including eight for best picture, were announced Jan. 15, 2015. "American Sniper" was playing in just four theatres and had a cume of $3.4 million when the Oscar noms came out. Since opening in limited release Dec. 25, "Sniper" had been performing very strongly. The day after the noms, it went wide to 3,555 theatres, finishing first for the four day Martin Luther King, Jr. holiday weekend with $107.2 million and a cume of $110.6 million. By the time the Oscars were bestowed Feb. 22, "Sniper's" cume was $320 million. Its cume through last weekend was $347.8 million, an increase of $344.4 million over where it was when the noms came out. Much of that business probably reflects director Clint Eastwood's long-standing appeal to moviegoers and his having made a well regarded mainstream appeal action war drama. It's hard to credit "Sniper's" six Oscar noms for too much of its boxoffice strength since Hollywood handicappers didn't give it much chance of winningbest picture and it wasn't being driven by other awards victories. It wound up taking home only one Oscar (for sound editing). Nonetheless, being able to advertise itself as a best picture nominee certainly didn't hurt. "Birdman,"which received nine Oscar noms and took home four including best picture, is a differentsituation. It opened last Oct. 17 at four theatres and by Jan. 15 was in 228 theatres with a cume of $26.7 million. At its peak in late November, it had played in 862 theatres. Jan. 16 saw "Birdman" widen to 471 theatres and do $1.9 million with a cume of $28.6 million. By Feb. 22, its cume was $37.8 million. By Apr. 12 it was still in 61 theatres with a cume of $42.3 million, $15.6 million more than it had when the noms came out. "Boyhood,"which received six Oscar noms and won one (for supporting actress), had pretty much finished its theatrical run before the Oscar noms. It opened last July 14 at five theatres and by Jan. 15 had grossed $24.3 million and was only in 20 theatres. After being nominated, it expanded modestly Jan. 16 to 136 theatres and had a cume of $24.6 million through the holiday weekend. Its cume Feb. 22 was $25.3 million and its final theatrical cume through Mar. 22 was $25.4 million. "Boyhood" had added just $1.1 million since the noms. "The Grand Budapest Hotel"received nine noms and won four. It opened Mar. 7, 2014 at four theatresand by the end of August was playing in eight theatres, ending its theatrical first run with a cume of $59.1 million. Its Oscar noms were still a long way down the road. "The Imitation Game" received eight noms and won one (for adapted screenplay). It opened last Nov. 14 at four theatres, a late in the year arrival designed to get attention from Oscar voters as they began thinking about which films to nominate. By Jan. 15 it was in 1,566 theatres with a cume of $43.6 million. As of Feb. 22, it was in 1,408 theatres with $83.9 million. Through Apr. 16 it had done $91 million, a healthy increase of $47.4 million over where it was when nominations were announced. "Game" is one of the few films to have really benefited from its Oscar nominations. Much of the credit for that is likely due to The Weinstein Company's co-chairman Harvey Weinstein, who pretty much invented the playbook for contemporary Oscar campaigning. "Selma,"which received two noms and won one (for best original song), opened Dec. 25 at 19 theatres. It was another late in the year launch intended to catch Academy members' attention. "Selma" had a cume of $17.7 million and was in 2,179 theatres on nominations day. By Feb. 22 it was in 412 theatres with a cume of $49.6 million. Its cume through Apr. 16 was $52.1 million, a solid increase of $34.4 million over where it was when the nominations came out. "The Theory of Everything" received five noms and won one (for best actor). It, too, was a late in the year arrival, opening Nov. 7 at five theatres. By Jan. 15 it was in 408 theatres with a cume of $26.3 million. At Feb. 22, it was in 545 theatres with a cume of $34.1 million. Its cume through Apr. 12 was $35.9 million, up $9.6 million from its nominations day cume. "Whiplash" received five noms and won three. It opened Oct. 10 at five theatres and by Jan. 15 was in 69 theatres with $6.2 million. By Feb. 22 it was in 440 theatres with a cume of $11.3 million. Its cume through Mar. 29 was $13.1 million, an increase of $6.9 million over where it was when the noms came out. For the most part, this set of best picture nominees didn't get much of a boxoffice bump from being in the race. They were mostly small indie dramas that opened in a handful of big city theatres and expanded modestly after being nominated. In some cases, they had already had their theatrical runs. If Academy members ever decide to revise their schedule and announce nominations in mid-December before the Globes noms are revealed, that would make the Oscar noms much more of a boxoffice factor. They'd have some real impact just as the Tonys have with plays on Broadway. A month earlier nominations schedule would also benefit Oscar voters by taking all the work of seeing films out of the pre-holiday period just as they're trying to get away for winter vacations. Distributors would have to adjust their release strategies to accommodate this, but they could do better at the boxoffice because Oscar nominations would then become a valuable holiday season marketing tool. But it's not likely the Academy will embrace such a major change. In fact, Oscar's dates have already been set for the next three years –Feb. 28, 2016, Feb. 26, 2017 and Mar. 4, 2018 – with nominations likely to be announced in mid-January just as they now are. Bottom line:Hollywood isn't in awards mode right now, but it is definitely in ticket-selling mode. Universal's "Furious 7"held on to first place last weekend with $29.1 million, bringing its domestic cume to $294.4 million. Its international cume is now $858.3 million, according to the boxoffice analysis firm Rentrak, bringing its global cume to $1.153 billion and making it Universal's biggest worldwide hit ever. 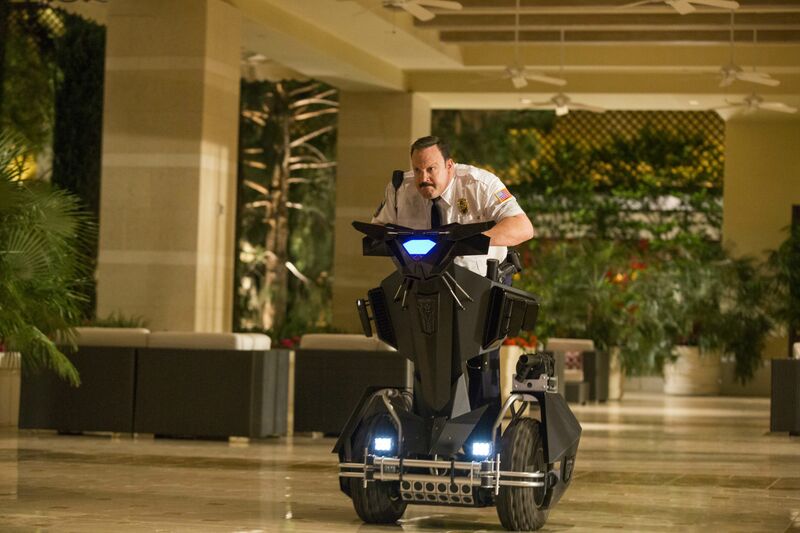 Columbia Pictures and Happy Madison Productions' "Paul Blart: Mall Cop 2"openedsolidly in second place to $24 million. 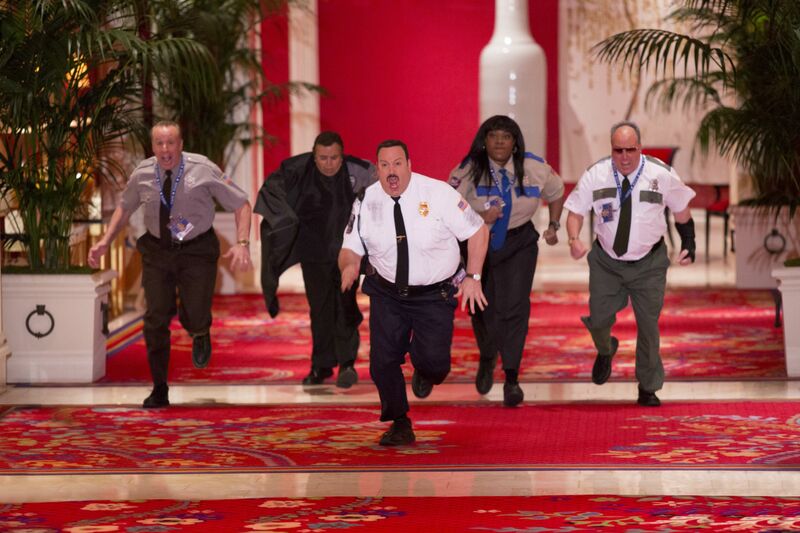 Directed by Andy Fickman ("Parental Guidance"),it stars Kevin James, Raini Rodriguez and Eduardo Verastegui. This weekend's only wide opening is the PG-13 rated romantic drama "The Age of Adaline,"from Lionsgate, Sidney Kimmel Entertainment and Lakeshore Entertainment. "Adaline," opening at about 2,900 theatres, is tracking best with women over 25 and nearly as well with under-25 women.